The St. Kitts Team Goes Live! Today we began our morning at the station for 91.5 Dominion Radio. 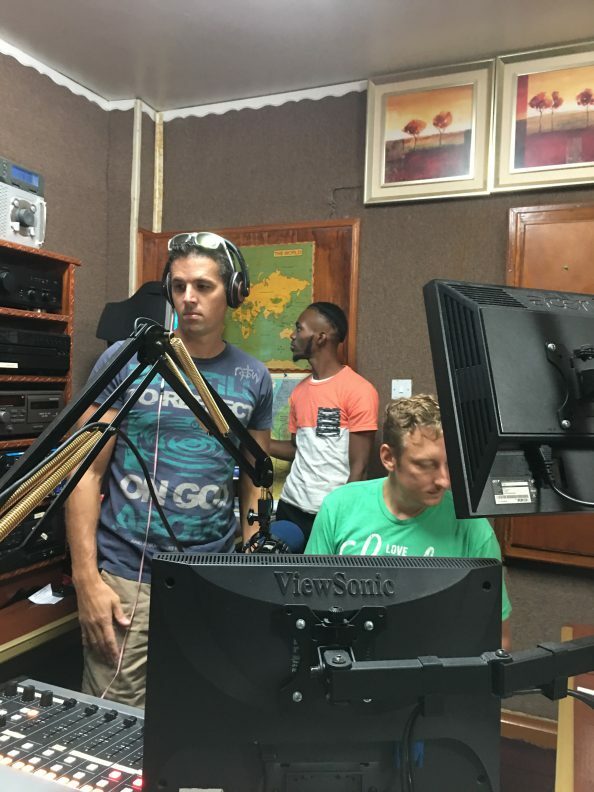 Pastor Brandon (headphones in pic) from Caribbean Christian Fellowship (CCF) gave up his weekly radio show for our team to share and play some live worship. After our time at the radio station we spent most of the afternoon at the New Horizon Juvenile Rehabilitation Center where we purchased and installed a basketball goal and a pole for net ball. Tonight we are having a true Persian dinner. One of the medical students (Mena) is cooking for us as a special treat. 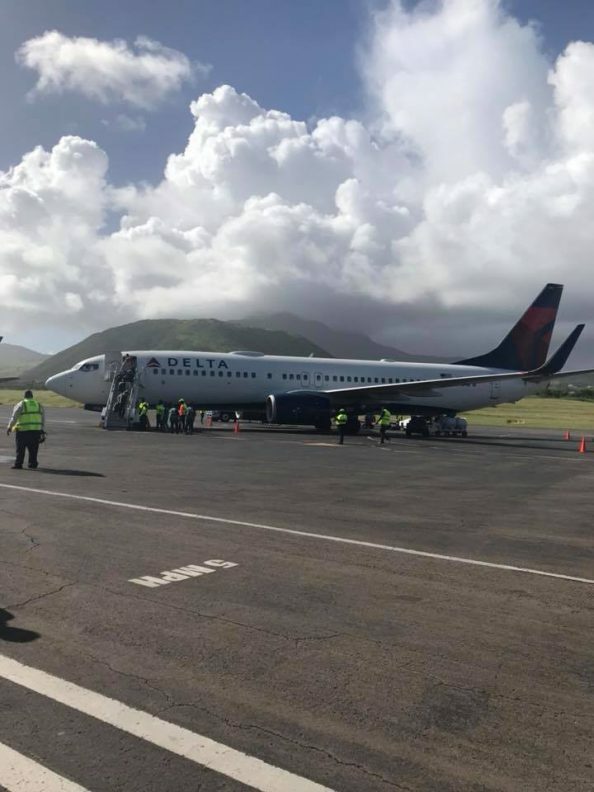 St. Kitts – We have arrived! 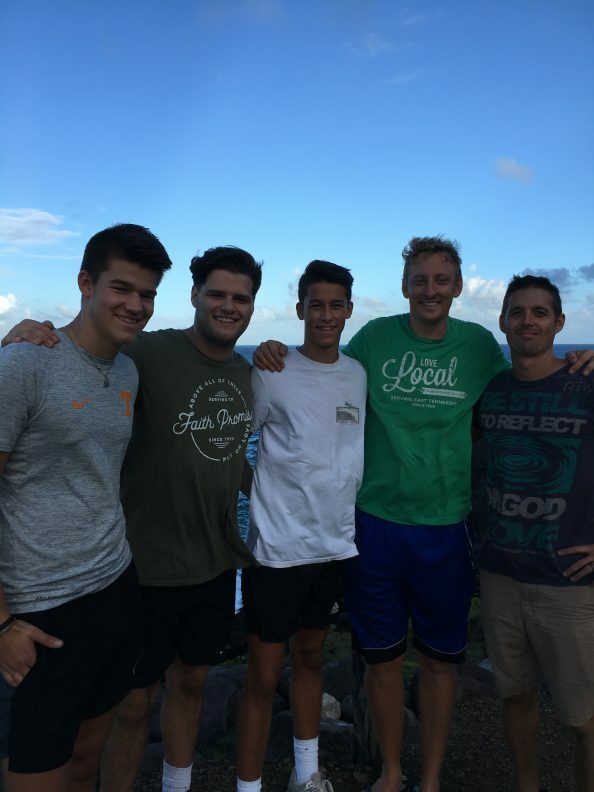 Our team arrived in St. Kitts on Saturday and enjoyed a home cooked dinner at the Comer’s. We then spent the evening preparing for Sunday services. 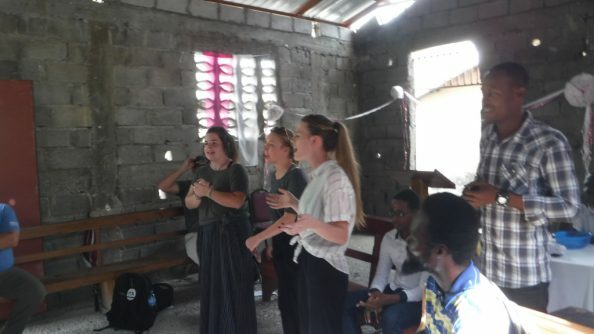 We started bright and early on Sunday morning at Caribbean Christian Fellowship (CCF), the local church the Comer’s attend here in St. Kitts, with worship rehearsal and a time of prayer. FP Worship Pastor Tucker McGinnis and Ben Baker led us in worship with an acoustic worship set, and Pastor Mike shared from Matthew 14. Our team met several students from the medical school and veterinarian school from different nationalities. We were overwhelmed at how hospitable the people at CCF were to our FPC team. After church service our team rehearsed with several members of the CCF worship team for an evening worship event. Then, Sunday evening we had a special worship event. Tomorrow morning we will go live on the local radio station, then build a basketball goal for the local juvenile detention center. Tonja and I have been coming to Haiti for a while now, so much so that it almost feels like a second home when we are here. But that means that it also feels normal to us, and we sometimes miss the feeling of those first experiences. It is amazing to see the wonder in the eyes of new members who find their expectations did not even come close to the actual experience. But on Sunday, Tonja and I got to experience a first for us, we got to take communion with Pastor Marcèl’s church. That is something that is probably going to stay with us for a while. Unfortunately, the rain cut church short. In Haiti, most people travel a good distance to get to church, and most do it on foot. Rain or shine. We are once again reminded of how often our church attendance back home goes down when the weather is bad, and we all have cars. 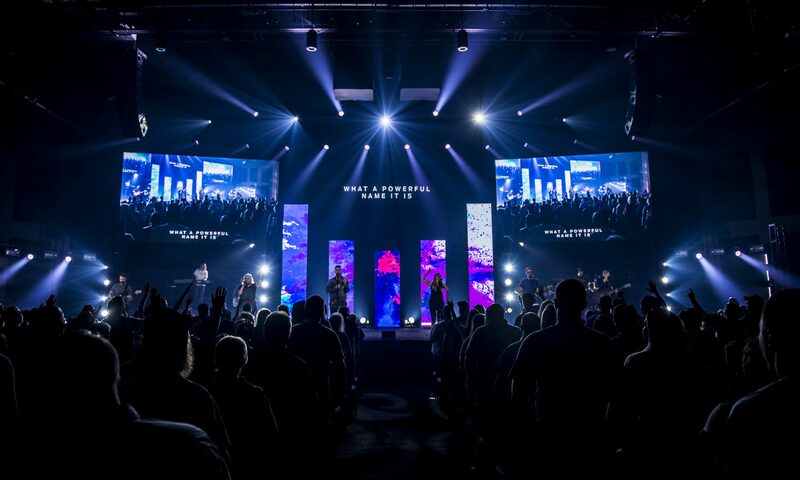 You wonder when it was that people lost that passion that made them want to come to church like that, no matter what. 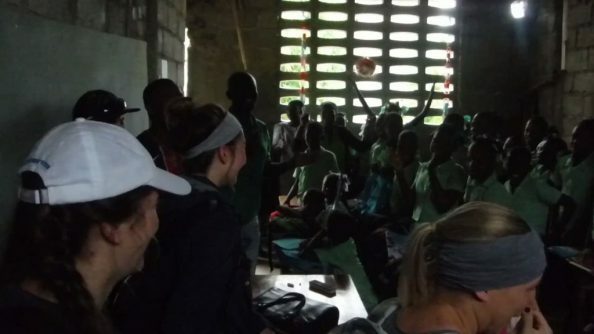 In America, church is just another event to some, but in Haiti, it is so much more than that. After church we went back to the hotel to wait for the rain to stop. Once the rain had stopped, we got to head to Gelèe Beach. It didn’t take the boys long to find some kids to play football with. Kids in Haiti are more likely to play soccer, but throwing a ball back and forth is universal. 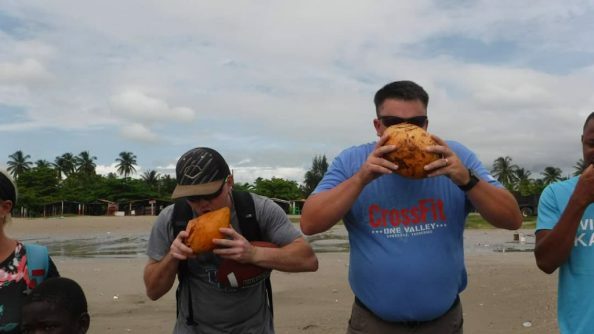 Of course, there is the beach tradition of drinking coconut water. It is, apparently, an acquired taste. This being Scott’s second trip, he had definitely acquired it. 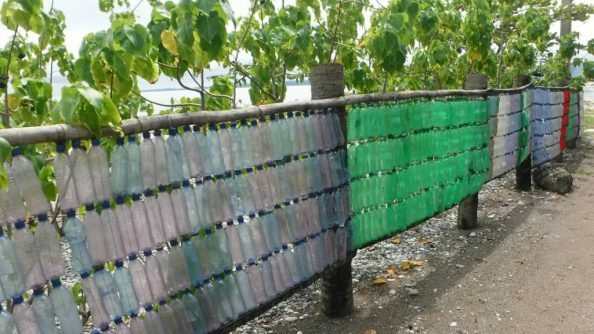 Another testament to the ingenuity of Haitians. 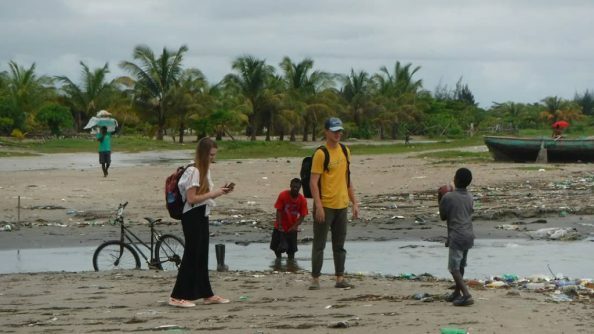 While litter and pollution is unfortunately a big problem in Haiti, some choose to look at it in a completely different way. The ability to make do with whatever they have is one of the things I love most about Haitians. Some would see litter, this person chose to see an opportunity. After the beach, we went back to the church to meet with the youth (young adults). We were not aware that they had planned a little competition, and we were definitely not prepared. But after they had performed a couple of songs, Bailey, Maddie, and MacKenzie stepped up and got the team started. After that, it was just singing and laughter. Word of advise, don’t ever try to take Hunter in musical chairs, he is a beast. Toward the end, the Haitian youth performed a song in Kreyol that we recognized, and many of us were singing along in English. They asked us to sing the English version, and afterward, we all decided to sing them both together. It was a great moment, and the entire activity just reminded us that we are different, but in so many ways we are the same. One of our translators often uses the phrase “Praises go up, blessings come down”. That is definitely what was happening here today. I have been so impressed with this team so far. In Haiti, time is considered an unlimited resource. They don’t think they can waste it, there is always more. Things seem to move at a different pace. But even for them, there are some things that are a high priority, and that is what the Pastor preached on today from Matthew 24:42-43. Paske nou pa konnen ki jou Mèt nou va vini. Because you don’t know which day your Lord is coming. 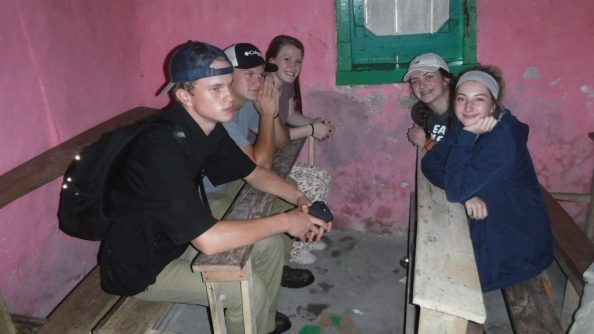 Keep praying that we continue to build relationships and show God’s love as our time here grows shorter. Today our team had the honor and privilege of hosting several Vacation Bible Schools in town and boy did God show up and show out in some major ways! 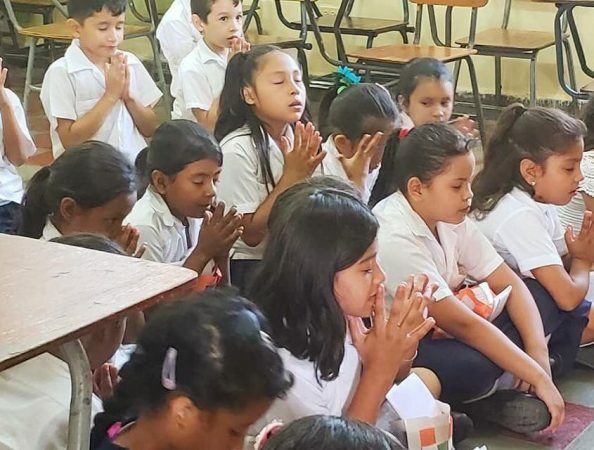 During our first Vacation Bible School, 21 kids chose to accept Christ as their personal Lord and Savior. Then in the afternoon an additional 61 kids gave their hearts to God. 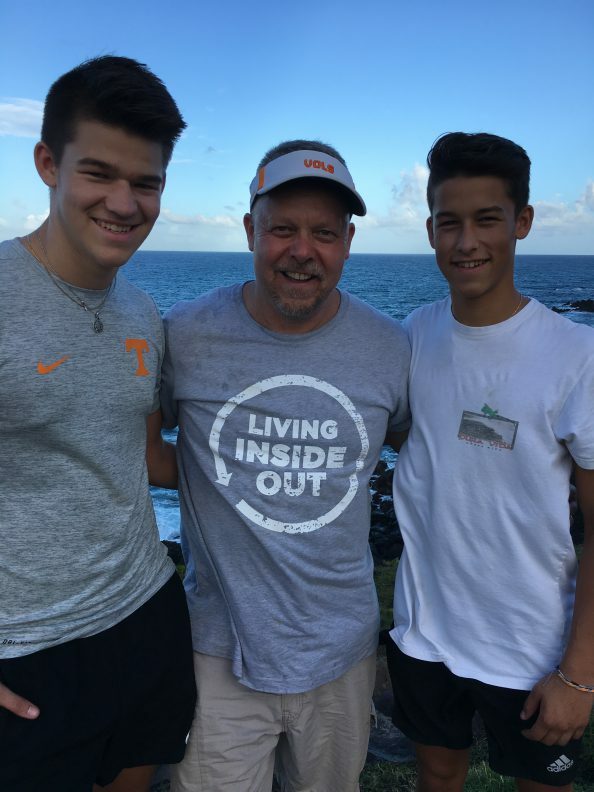 Please continue to pray for our team and to pray for all of those that we meet this week. May their eyes and ears be open to hearing of Him!